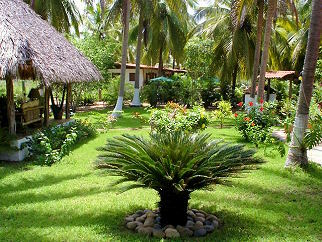 Come and enjoy the magical tranquility of this unique small hotel at Barra de Potosí, located just a few steps from the seemingly endless beach of Playa Blanca and only twenty minutes by car from the Ixtapa-Zihuatanejo International Airport. 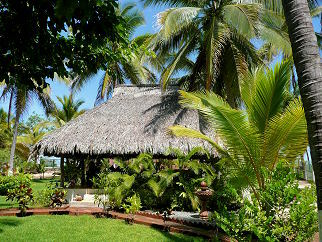 Villa Don Manuel is an ideal bed and breakfast hotel where you will find rest and relaxation amid the shade of tall coconut palm trees and surrounded by lush and colorful gardens fanned by balmy tropical breezes from the vast blue Pacific Ocean. 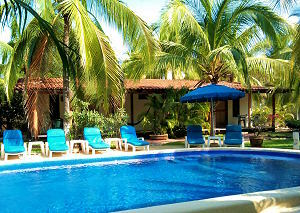 Lounge around our pool or in our palapa or in your hammock. Explore the nine and a half miles of beach. 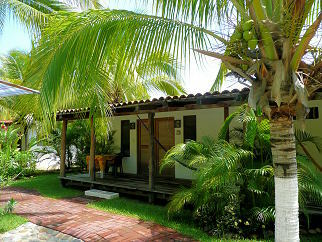 Visit the village of Barra de Potosí. Take a kayak tour of the majestic lagoon. Watch for dolphins, sea turtles and even whales during winter months. Many guided tours and activities are available in the region including sportfishing, surfing, diving, snorkeling, and a nearby archaeological site. 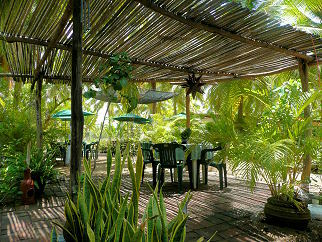 Zihuatanejo and Ixtapa are only a half hour's drive away for shopping, fine dining, and cultural events.